OK, YouTube is the best way of procrastinating when you have exams or work, but seriously, without YouTube (or Internet videos sharing), imagine the pain of finding good live footage of your favourite bands and artists. We would have to rely on the good will (!!!) of MTV to show, once per decade, some potable live music performances. Or turn on a time machine. The LondonY picked 6 videos of unforgettable live music moments available on YouTube and would love to share more of them in the future. We’re open to your recommendations and we will share the good music! For the first playlist- enjoy watching Lou Reed and David Bowie having fun on I’m Waiting for the Man, Johnny Cash singing with June Carter on Jools Holland (with Jools on piano), Little Richard rocking the room in 1964, 200 guitarists playing la Valse d’Amélie and more! 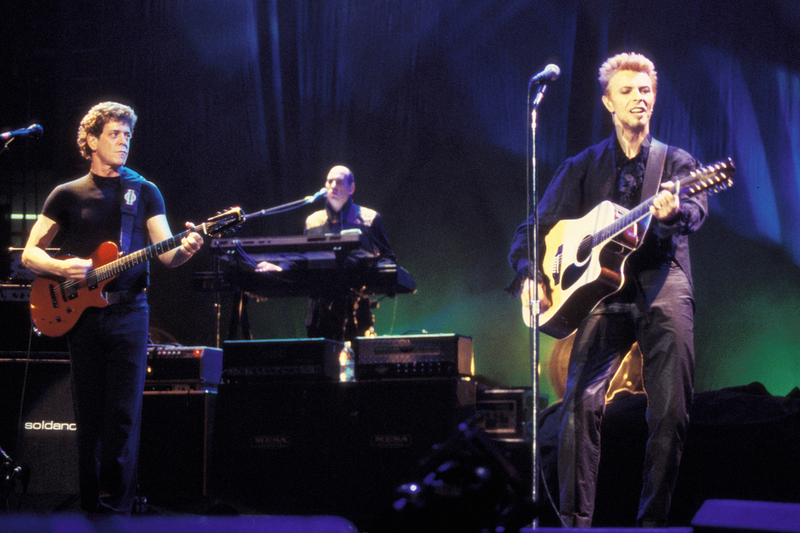 Lou Reed and David Bowie-Waiting for the man, Live At Madison Square Garden, New York January, 9 1997. Beach Boys- I get around, Live in 1964. Johnny Cash- Live Later with Jools Holland in 1994 Featuring June Carter-Cash, Pop Staples and Carleen Anderson. ← Londoners stand for love post-Orlando & Brexit at Pride parade. Haha yes! It’s so rare to see Lou smiling, it must hint that he is really enjoying sharing this moment on stage with Bowie!